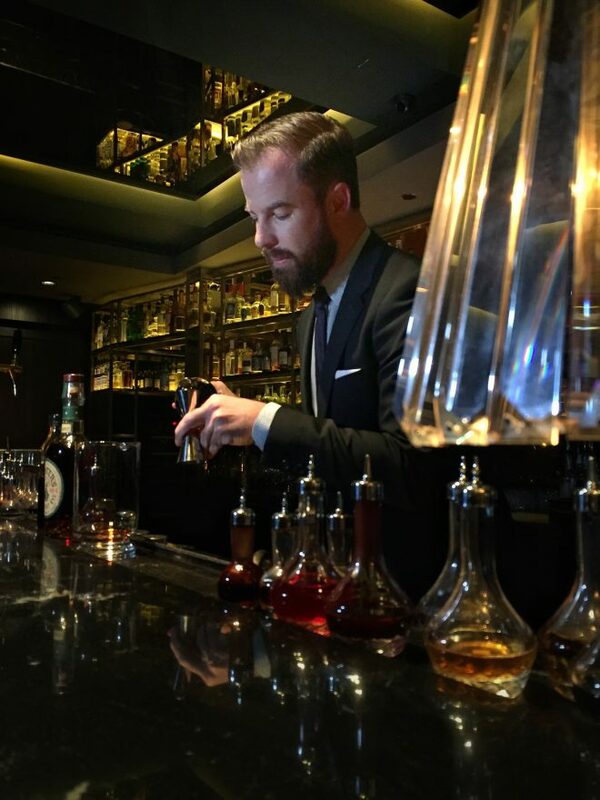 I’m Philip, I was born and raised in Berlin and I started bartending eleven years ago. Whilst I was studying business administration, I started working at events and in clubs of an evening, but my part-time job soon became a passion more than just a way to make money. I decided to tell my family I wanted to pursue a career in food and beverage and it was my grandfather who gave me a sage piece of advice. He told me if I wanted to work in hospitality I had to do it right, so I moved to Switzerland to work in a five star hotel. When I moved back to Berlin I worked at a private members club, until I was offered the head bartending position at Biancalani in Frankfurt and after a year there I moved to Le Lion in Hamburg. I stayed there until I was asked to be part of the team to help open the bar at hotel Amano, a bar that soon changed the perception of hotel bars in Berlin. During this time I had opportunities to travel through work and in turn it fueled my passion for the industry. I worked for another group in Berlin after this, but knew I really wanted to move to Asia. In early 2015, David Cordoba asked me if I would be interested in moving to the Four Seasons Group. Of course knowing about Manhattan bar in Regent Hotel and seeing the passion Four Seasons placed in their beverage program made the decision easy. I had my interviews, signed my contract and moved within three months. Right now, my perfect bar is the bar I’m working in, Manhattan. It’s glamorous, impressive and very elegant. From the colour scheme to the textures and lighting, everything is perfect. The bar is the central attraction of the space and is slightly elevated to add drama. We have three stations and a kitchen in the back. We have also created features with separate rooms for our ingredients and homemade tinctures and syrups and the rickhouse which contains 150 oak barrels. For me a bar is a place customers should relax and have a good time and the Manhattan delivers all this and more. When I’m not at work I like like to travel… let’s just say I know Changi airport quite well. If I have a day off in Singapore I tend to swim and take advantage of this climate or catch up with friends over a refreshing beer. Here at Manhattan bar most of our drinks are whisky based, so I’d have to say whisky. From Islay whiskies to ryes and bourbons, there are so many to choose from. Right now (at this very moment to be precise, as I change my mind daily) my favourite whisky to sip is Laphroig 18 and Laphroig 10 to use in a cocktail. For us, a good cocktail is what makes the guests happy. We listen to them and guide them to create their perfect drink. Of course after that it’s quality ingredients and technique. There was a chocolate bitter from Mozart that gives our drinks a certain pique. I have a supply, but unfortunately it is no longer in production, but I have a plan. In Germany go to Buck and Breck, Schumman’s, Circle and visit Stephan Hinz at Little Link. I love Café Dante and Booker and Dax in New York. In London I am seriously impressed with Agostino Perrone and his team at The Connaught and in Athens go to Clumsies and Baba au Rum. Here in Singapore I’d say you must go to Operation Dagger for their flavours and technique and 28 Honk Kong Street.